Temple Run is one of the most popular video games designed for play on the iPhone. Released in 2011, it eventually became the top app in Apple's iTunes Store and has been downloaded more than 100 million times. Since its success, it has been ported to other smartphone platforms, and according to the Hollywood Reporter, Warner Brothers is currently in talks with the producers of the game, with a mind to making it into a movie. My big qualm with Temple Run lies in the fact that the majority of the game's scenery looks the same. Yeah, the scenery does change here and there, but most of the time, gamers are running through ruined, temple pathways that look consistently the same. It all starts to blur together after a while. The game itself is fairly simple. You play a "treasure hunter" or "jungle explorer" that has to outrun monsters that chase you because you took (stole?) an idol from an Inca-ish temple. It is sometimes categorized as a 3D "endless running" game. The "treasure hunter" trope in video games is an old one. 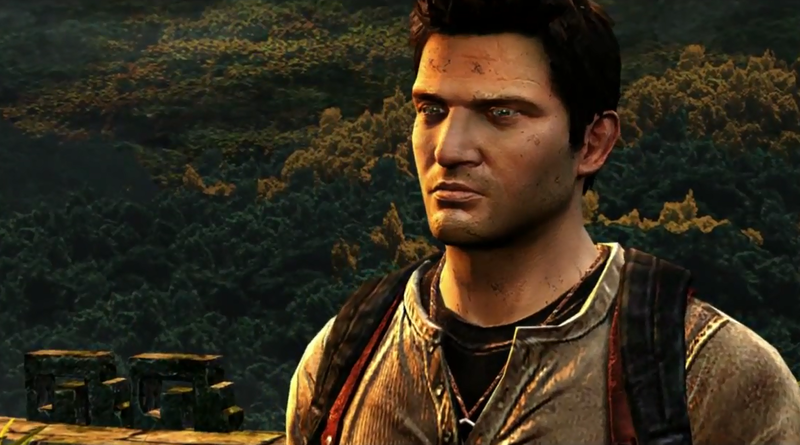 Certain game critics with very short memories have claimed that the lead character was actually based on Nathan Drake (apparently a Neanderthal) from a 2007 PlayStation game called Uncharted. But this trope has been used countless times before, beginning perhaps with Atari's iconic Jungle Hunt game in 1982. When Jungle Hunt was being developed, its main character was intended to be a Tarzan type, but the estate of Edgar Rice Burroughs (the writer of the original Tarzan novels) decided to sue Taito (the Japanese maker of the game),so Taito converted the character into a British "Dr. Livingstone" type instead. The popular character of Dr. Livingstone is of course based on the real life and exploits of David Livingstone, a 19th century British medical missionary who did lots of exploring in sub-Saharan Africa. Both Tarzan (the "noble savage") and Dr. Livingstone take us back to the 19th century, a time of real physical exploration, when the popular idea of a jungle explorer originated. The appeal of these character types lies in the fact that they were both essentially Westerners who lived outside the bounds of Western society. Tarzan, the son of British nobility, is raised alone in the jungle by apes. Dr. Livingstone left British civilization and his Church far behind and encountered isolated tribesmen with very different ethics and values. Both of these characters represented an escape from the status quo. This is why they were interesting. This is why interest in them still persists in the year 2014. Video games, as they were originally developed in the late 70s and early 80s, had a similar appeal. They were primarily meant to be an escape from everyday life. Video arcades were literally dark places, grimy and untoward, where shadowy characters lurked. When you were sick of daylight and cultural expectations, you went to the arcade. There you could be free from it all for awhile, free to live in fantasy worlds that lacked everyday restrictions. In the final scene, the explorer must evade cannibals while attempting to free a woman being lowered into a flaming cauldron. After the player rescues the woman, the word "Congratulations!" appears, which is then followed by a message saying "I LOVE YOU," followed by the woman kissing the explorer. This kind of thing was not a problem in 1982. In fact, this kind of thing is what made Jungle Hunt such a success in 1982. Fast forward to 2014. And to Temple Run. Temple Run is a game of utmost seriousness, and it demands total focus in order to play. This is partly due to the fast pacing, but also due to the relative complexity of the controls. You cannot multitask while playing Temple Run — the game is very covetous of your attention. And, like many iOS games today, it is not endless, per se, but seemingly endless. The developers have designed so many internal quests and side-games and spinoffs that no employed person could ever find time for it all. It wants all of you, for as much time as it can get. Temple Run certainly doesn't contain any crudity. The game overwhelms you with its politeness and prettiness. Although the setting is a virtual Macchu Picchu, you will not find any Incan "savages" running around — you will not find any other human beings, period. It's a very lonely world. The only other living characters are the animals that chase you, and even these are designed to be fantasy mutants (presumably to avoid offending the touchiest of animal rights activists). It is not fun. There is no way you could describe the experience as "enjoyable" in the sense of indulgent pleasure, in the sense of ordering a large chocolate milkshake. It is an exercise. You participate in a complicated exercise which seems more similar than dissimilar to an everyday job task. It is an effective distraction, and there is some pleasant sense of mastery to be gained when one gets better at playing the game, but that's about it. The experience is analogous to gazing at a beautiful landscape while running on a treadmill. This is the game you play on your commute to work, before you have to play that other senseless game called work. The border between "real life" and "games" has disappeared. They are now in fact one in the same. The only (superficial) difference is the context in which it is socially acceptable to play them.